Vance's imitators (or rather, authors inspired by Vance!) who can actually hold a candle to the older master! I now sit re reading ecce and old earth. I have filled a tea cup with white wine and pretend it is green zoquil, a clattuc vintage. When my eyes need a break I look out the window and thank the trees for showing their autum colors. A perfect day. Thank you Jack. I red Le prince des étoiles when I was 17 I am now 56 and all the writings of Jack Vance are always next to me. What an author !Beautiful style and endless inventive spirit ! I can't help reading and reading Alain all Jack Vance,s books they give me a lot of energy and hope. Thank you again master Vance ! your books is a pleasure, and a way to live other, so many other lives and realities. Grazie di tutto , Maestro. I have read very few writers who come close to the skill that Mr. Vance had. The way he set a scene and told a story is absolutely captivating. I love the Dying Earth and the Demon Princes series and can't wait to read more of his work. I've been collecting them when I can find them. No book has absorbed me like Tales of a Dying Earth. Mr. Vance clearly had a vibrant inner life; it showed through in the vast imagination of his writing and the depth and complexities of the cultures, creatures and people of his stories. Thank you Mr. Vance. You are an inspiration to this aspiring author. If I can tell a story of my own with half the aptitude you had, I will be well pleased with myself. I just want to said that after 25 years I discovered it, Jack Vance's world is still offering me the magic that we all need. When I first read Jack Vance's works as a teenager, I enjoyed them. I reread them many years later, after my reading had ranged far and wide, I appreciated them all the more -- for only then did I realize how utterly unlike anything else they are. Rare gems, of unique cut; with their own sparkle and fire. Has there ever been a writer who was so generous with his imagination? So willing to take us to places we could have never found for ourselves? So glad to introduce us to the finest, and foulest, that humanity and its various offshoots has to offer? So anxious to show us what beautifully unlikely phrases could be constructed with the English language? I will ever pour libations to Jack Vance. Absolutely hopeless plots -- and I read them again and again and again! He really makes a story move, and invents the weirdest societies -- and unfortunately the world is catching up with him. The concept of 'awaile' in 'Servants of the Wankh' anticipated Columbine by decades. Of course not all science-fiction writers can think of everything: it is amusing, after humanity has colonized the galaxy, to find Kirth Gersen still having to find a phone booth! And he was a realist: his dystopian anarchy in 'Wyst' provides a refreshing antidote to Ursula K. Leguin's (also RIP) rather idealized version in 'The Dispossessed'. Just a small salute to Mister Vance and his family to tell them how much his work has been and still his important in my library. I'm nearly 60 now and I have been reading and reading all over again The Tschai cycle and the Cugel cycle since I was a teenager (French edition). It has its place with the Asimmov's Foundation cycle and Van Vogt Non-A cycle side by side in my library. You have the right to be very proud of your late father and grand-father for what it has achieved and all the happiness he has brought to million of fans throughout the world. Forever thank you so much dear Mister Vance! I believe I now have a copy of every book written by Jack Vance, certainly of all those ever sold here in England. Something I have never tried to do for any other author. I have a bookshelf in my little library devoted to Jack Vance. I tried to pass on the enthusiasm to my 35 year old son but he declined the baton. Most of his stories are here, some duplicated, some in French, picked up for a few centimes in brocantes. 20 years ago I had a sales lunch with some Dutch policemen in Rotterdam. It started out quite frosty and polite until, and I forget how, Jack Vance was mentioned. Lunch became extended, beer was raised and not many of us went back to work that afternoon. Tim R Mortiss disgurgled me. Was there ever a better author, in any genre, than Jack Vance? Not in my humble opinion. His visionary ideas, deadpan humor, memorable characters both likeable and detestable (nearly all endowed with masterful oratory skills), panoramic vistas, complex societies, unearthly flora and fauna, fascinating worlds, satisfying plots, engaging storytelling - effortlessly regaled in the most truly delightful prose. He is greatly missed. How I wish I could live in one of Vance's worlds, instead of this mundane, unsophisticated society run by a President with "all the best words" (clearly, he has never read Jack's work). I can't believe it's nearly 5 years since his passing. I've been spellbound by every Jack Vance book I've read. I am on Book of Dreams, trying to stretch it out, knowing there will never be another after I finish this one. My heart aches when I think about it. La saga de Tschai fue una de las primeras sagas de ciencia ficción que llegó a mis manos de joven, y sigo releyendo esos cuatro desgastados libros cada pocos meses aún más de veinte años después. Un abrazo maestro bajo la luz de Carina 4269. Thanks to Jack Vance I traveled all over the universe and knew wonderful worlds and peoples. Vance, magician of fabulous words and worlds - thank you for countless hours of reading transport & pleasure, for over 40 years! "Where is the like today?" Rest well, most picaresque of poets. My first Vance book was The Dragon Masters, a brilliant tale of war and adaptation, and his work has only gotten better since then. His settings, characters, and amazing prose have kept me entranced for decades. Rest In Peace, Jack. You have earned your place in our memories. Cugel's Saga is the best book ever written. Every page, every line, every word is utterly brilliant. I have read it countless times. Lurulu is something special. Jack Vance is my hero. I hadn't heard of Jack Vance until this week, when I saw an inspiring quote, attributed to him, in Taste for Life magazine, which I obtain monthly for free at my local health food store. Before I passed the quote on to my friends, I wanted to find out about the man who said it. Wow! Just for sheer productivity he is laudable! I can see, too, much loved, much admired as well. I haven't read science fiction since the 70's - I'm sure you fans of Jack must wonder what kind of creature I am - but I certainly will invest the time now to see how this remarkable man practiced his craft. The quote is: GOOD MUSIC ALWAYS DEFEATS BAD LUCK. For over forty years, I fought besides Gavin Waylock and Adam Rieth; with the Brave Free Men: for the honor of the sheirls in the hussade tank, for honor, and for glory. ... and in my heart, he always will! So much of movie and TV science fiction and fantasy is really bad or overstretched (e.g. three movies made out of "The Hobbit". Why not movies out of the Lyonesse trilogy or Planet of Adventure or Demon Princes. Or a single movie based on Dragon Masters or the Moon Moth. He got me by the very first story I read and never let loose. Wonderful, extraordinary science fiction with a grand dose of humor. The finest of writers. I am so grateful to Jack for all the endless hours I have spent lost in the rich and beautiful worlds he drew in my imagination with his wonderful words. A peerless genius. There'll never be another like him. Jack Vance has been my favorite author for 45 plus years. His stories have taken me to far worlds and lands, for hours beyond count. I have most, if not all, copies of his fantasy and SF stories. I am currently re-reading (for the umpteenth time)the Planet of Adventure: Tschai novels. Thank you, Jack Vance, for giving me such enjoyment over the years. What a shame, I missed the date, so, better late then never: Happy 100th Birthday Mr. Vance! You are alive in your stories, which we all love. Cheers! Jack Vance's voice was unique and inimitable. Witty, bittersweet, beautiful, imaginative, well-plotted- it's easy to run out of superlatives and adjectives. My favorite author. End of discussion. His stories helped me to pass many nights and many days, wondering to meet Kirth Gersen. My nickname when I was a singer in a rock band was Rhune Fader and one of our songs titled "The face"
One of the most important writers in my life. RIP Jack and see you on the other side. Was introduced to Jack Vance through a tribute from George RR Martin. Immediately fell in love with his high speech, tongue in cheek style. Once I got past the surface and saw the meat of his writing I was again floored by his effortless world creation. Have most his works now and "recollecting" signed works. Easily a master and one of the greatest to put ink to paper. So thankful the world had so many years with him. Rereading "Maske: Thaery" for the third or fourth time, and I became depressed that Jack's voice has been silenced. He cannot be replaced. emotions and laughter And the tears that were associated with all the reading experiences I had with jack vance books and novels. He made me love science fiction and enriched my adolescence . Now reading his books again for the forth or fifth time he made me recall of a wonderfull part of my life. Thank you. Bneginning with The Dying Earth, I have bought. most of Vance's books. I am 65 years old. The first books I read (besides those required in school) were the Tschai novels 40 some years ago and I was hooked forever. I just finished Nightlamp for the umpteenth time and consider it one of the best. I had checked Mr. Vance's web page periodically but missed his departure in 2013. Needless to say I was depressed and disappointed that there would be no more wonderful literary surprises (selfish I know). I have most of his novels and am trying to procure the remainder. In my humble opinion he is the greatest author ever to pen words. Thank you. The only fiction that I've read for the last 15 years has been by Jack Vance. His worlds and characters continue to tantalise, his language use and subtlety is exquisite. Jack Vance has been my favorite author for 30 years. I have read nearly every book or short story he wrote three times or more and always enjoy him. I think he is one of the most imaginative, creative, thoughtful, funny, writers of all time. I especially love the Adam Reith Series, the Kirth Gersen series, the Lyonesse books, Cugel, the mysteries. Hey, I think I will go get a Jack Vance book and read it right now! Truly Planet Earth was made better by this writer. I owe Jack Vance some of my most beloved reading hours. I love his work, so much. Thanks for all this marvels. So you've gone on to join Poul Anderson and the rest of your generation to the Great Typewriter in the sky. You were a giant amongst giants, but how you tricked us all by masquerading as a mere mortal. I'm so sad you are gone, but boy-oh-boy you sure left one big footprint! See you down the road less traveled. Thank you Mr. Vance for many wonderful stories. I read my first Vance novel Lyonesse in the 1980's as a young teenager. My brother recommended the book to me. He was a great lover of all things science fiction and - to a lesser degree- fantasy. I became quickly a fan too. Jack Vance was a great writer, may he rest in peace. Thank You, Mr Vance, for all the hours of joy, wonder, and grandeur you gave to a young boy first discovering the joys of literature. Thank you for giving him entire worlds to explore. Thank you for giving him some of his first friends. Thank you for opening his eyes to magic & the joy of learning. Thank you, Mr Vance, for without you, I would've been lesser- as a boy and as a man. Thank you Jack for the countless hours spent and yet to be spent reading your books. My daughter is not yet 4, and while I'm sure I'll place many books before her as she grows, some of which she'll read and some not- I think I'll put Jack's books in unusual places like secret magical objects, and hope she comes upon them at odd times and won't be able to resist finding out what's inside. It all started with the paperback Ace Double of Houses of Iszm backed with Son of the Tree bought on a whim in a drugstore in Cleveland Heights in 1974. Throughout a lifetime, Jack Vance's stories and writing style have remained an undiminished delight. His art was a window through which to view different worlds across an infinity of galaxies. I did my best over the decades to find his books, and ultimately subscribed to the VIE without hesitation. Jack's command of the language has always provided great pleasure, great joy in the reading. Many have tried, but none that I know of were able to employ such a rich, high style with such perfect natural ease. I owe Jack Vance a great debt of gratitude for the joy and edification that his art works have given to me. I wish I had the chance to meet Jack Vance. My husband's family was related to him on the Gardner side. Recently we buried my husband and at the grave site found Jack's grandmothers grave...Inez Case Vance. My mother-in-law was able to visit him when he was last in Seattle. The family history is very interesting and how they came to California from the east coast and were part of the gold rush history. It is a shame family gets disconnected. If he had children or grandchildren, I would like to share this part of his history with them. 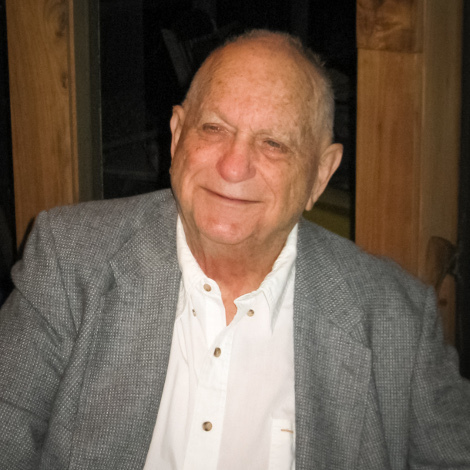 My dear friend Jack Vance, I miss you, I think I must have last called you around the time you left the world, I did not know, did not want to find out. I found out only today. I remained so busy with life, I tried not to peak, to see the truth, I never knew. It saddens me so much, the world is now bereft of it's greatest imagination, your work WILL spread wide, and be made solid. I hope to contribute; I hope others can experience the wonders of your stories, your worlds, your peoples. You are a wonderful man, I am so sad now, I miss you, I miss speaking with you. You will forever be in my heart. Above all, THANK YOU JOHN for your work, rest now, in peace. I purchased a copy of Lyonesse in the 1980's at AAFES bookstore in Bitburg Germany. I was a teenager and it was my first time reading a book that was so funny, dark, whimsical and unpredictable. I loved how his descriptions were almost lyrical but not taxingly so. As I grew older and read other fantasy novels, I realized nothing could scratch my itch like Lyonesse. As I matured, I saw more and more in it than just a fantasy adventure. For some reason, reading it was almost cinematic; those characters and settings just popped! I still have my very worn copy of Lyonesse, and bought an e-reader version. You are hands down my favorite author; what a gift you gave me! Jack're always in my heart, thank you for the wonderful moments that your books always give me. I first met Jack's works in my teens. I was reading sci-fi and fantasy as if there were to be no tomorrows. I went on to read much much more and have been fortunate to read some of the greatest works from the greatest authors. The story that calls me most, and the one whose call I will always answer is Lyonesse. Aillas; Shimrod, King Casimir and Madouc. Characters that sit within me as real as any of my friends. I loved Jack; his humour, his hard work, his research and his love of the good things about which he wrote so eloquently. His magic was real magic, and anyone who shared in Jack's world came away shimmering and vibrant with the certain knowledge that here was craft of the very highest order. I don't remember what the first Jack Vance book was that I read. What I do know, is that I have all of them, and I read most of them at least twice. Even in the dutch translations, the writing, the travels, the humor, the haggling, all the planets, the societies, and so much more. I thoroughly enjoyed them. And I it somehow influenced my own writing. No, I am not a writer, but even without being a writer, you can have a certain style. Jack Vance's books have had a lasting influence.